Scripture Safaris: Whatever Happened to Repentance? 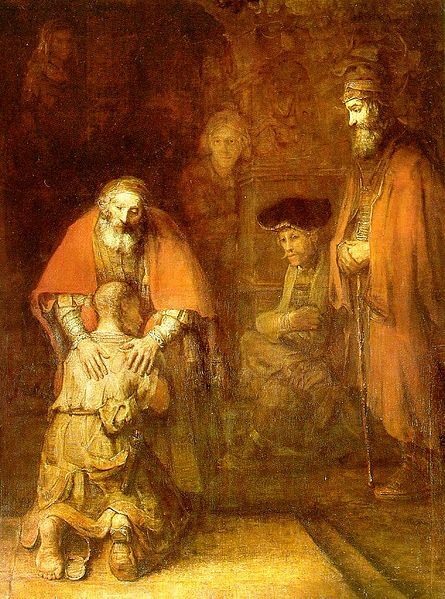 Rembrandt van Rijn: The Return of the Prodigal Son, public domain. How long has it been since you heard a sermon on repentance? Repentance is not a very popular concept nowadays. It is probably one of the tree words many preachers tend to avoid. The other two are sin and hell, which obviously are not politically correct terms either. When Jesus began His earthly ministry He preached on the necessity of repentance: “The time is fulfilled, and the kingdom of God is at hand. Repent, and believe in the gospel,” Mark 1:15 records Him preaching. And when He was about to leave this world, He instructed the disciples: “Thus it is written, and thus it was necessary for the Christ to suffer and to rise from the dead the third day, and that repentance and remission of sins should be preached in His name to all nations, beginning at Jerusalem” (Luke 24: 46–47). This is exactly what the early disciples did. Peter and John proclaimed: “Repent therefore and be converted, that your sins may be blotted out” (Acts 3:19), and Paul had a similar message. On trial before King Agrippa, he said: “I was not disobedient to the heavenly vision, but declared first to those in Damascus and in Jerusalem, and throughout all the region of Judea, and then to the Gentiles, that they should repent, turn to God, and do works befitting repentance" (Acts 26:19–20). What, actually, is repentance? The Greek word metanoia refers to a change of mind and sorrow for one’s sin. It is not primarily an emotional reaction, although emotions may be involved, but a decision of the will. One makes a decision to discard that which one knows is wrong and then discards it. Or if one finds one is going in the wrong direction, one turns round and chooses the right way. I would suggest that there are two reasons why preaching on the necessity of repentance is not popular in our day. The first one is Darwinian evolution that basically rejects a literal Fall and the second is humanistic psychology that draws on Darwinism and rejects original sin. These two ideologies permeate every level in society and their impact is also felt in the church, even though Christians might not always realise it. However, the Bible tells us that God has not changed, and history tells us that man has not changed, so there should be no valid reasons for avoiding one of the most essential concepts of Christian preaching. Even today, preachers should proclaim “the whole counsel of God” since it is the only formula for changing lives.